Counter is currently broken. Working on fixing! 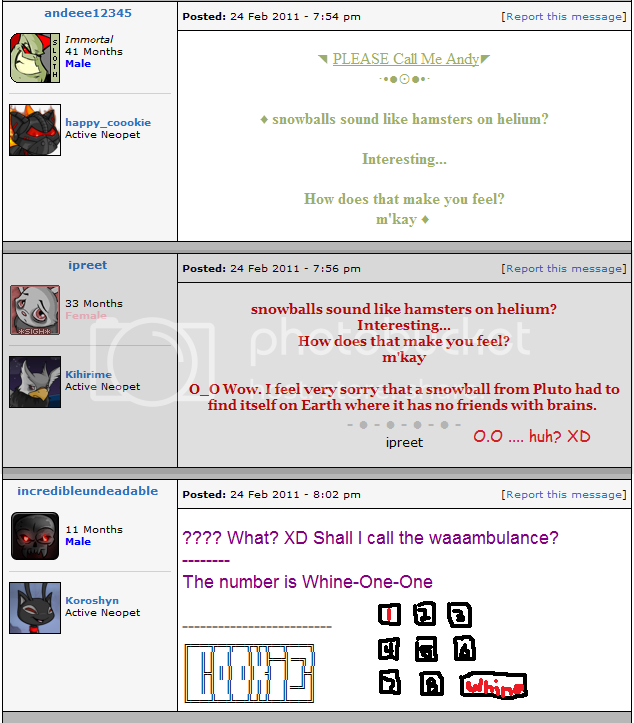 Here is a compilation of my screenies. Once I get better at coding, I'll recode it so it all looks much neater! 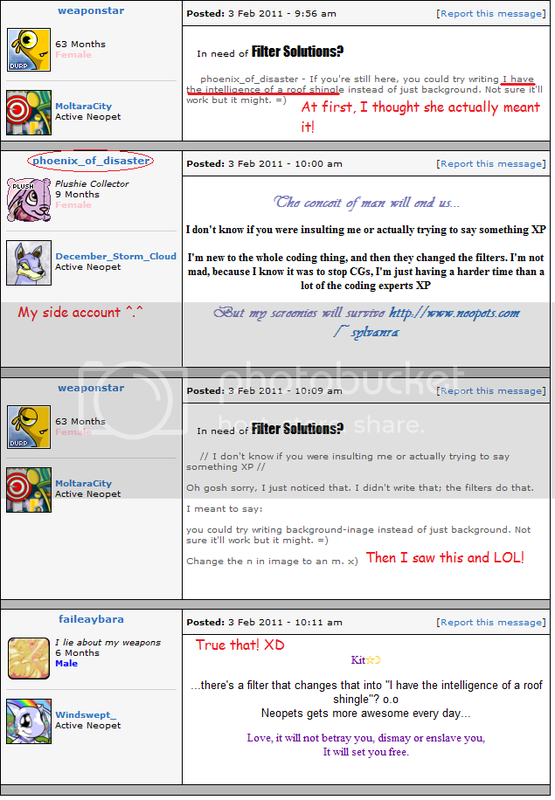 My screenies are categorized, and within those categories are placed in chronological order from oldest to newest ^.^ ALSO PLEASE NOTE: The drawing above was done by me. PLEASE do not steal it! It is my first photoshop draw, and it took me a long time. 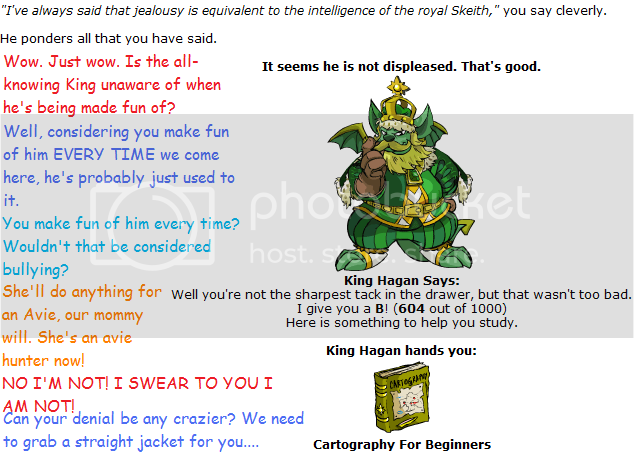 My neopets like to talk to me, so here is a color legend for you! 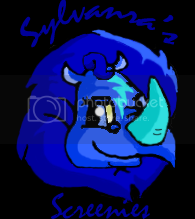 SaFyre (Me!) speaks in RED. 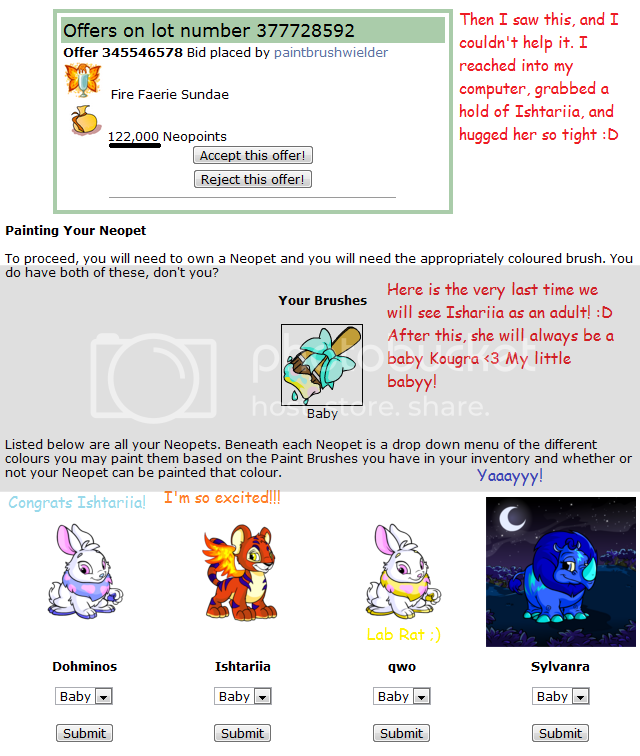 March 4 2011: I gave away the bunny Tykeesha to someone who really wanted a cybunny. 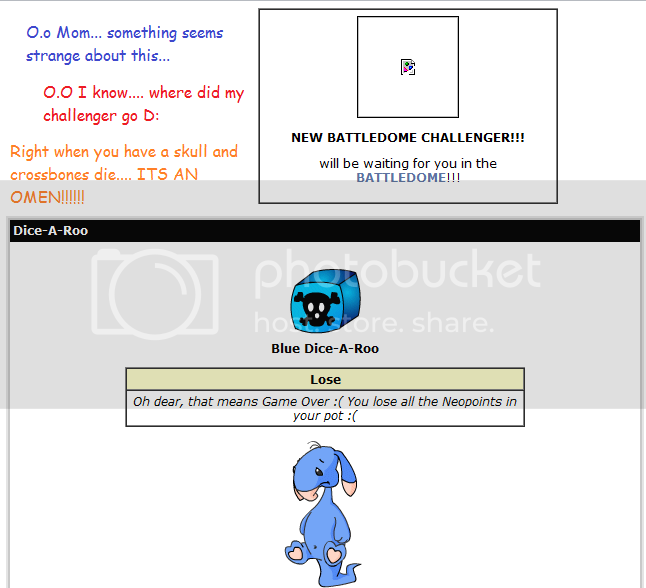 His replacement is Dohminoes, who will speak in light blue. 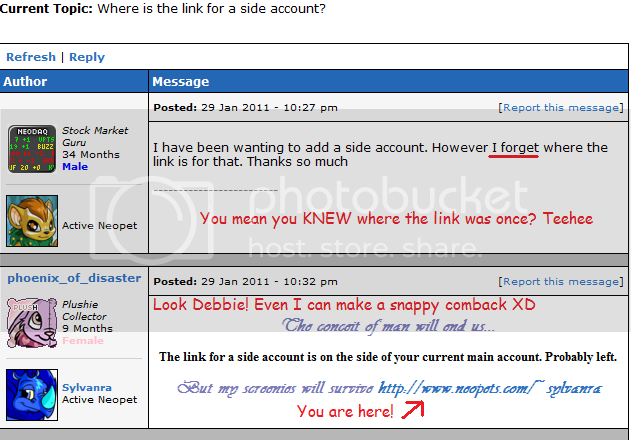 March 13 2011: Got another button, Listed in Soroptimist! March 15 2011: Added Counter! 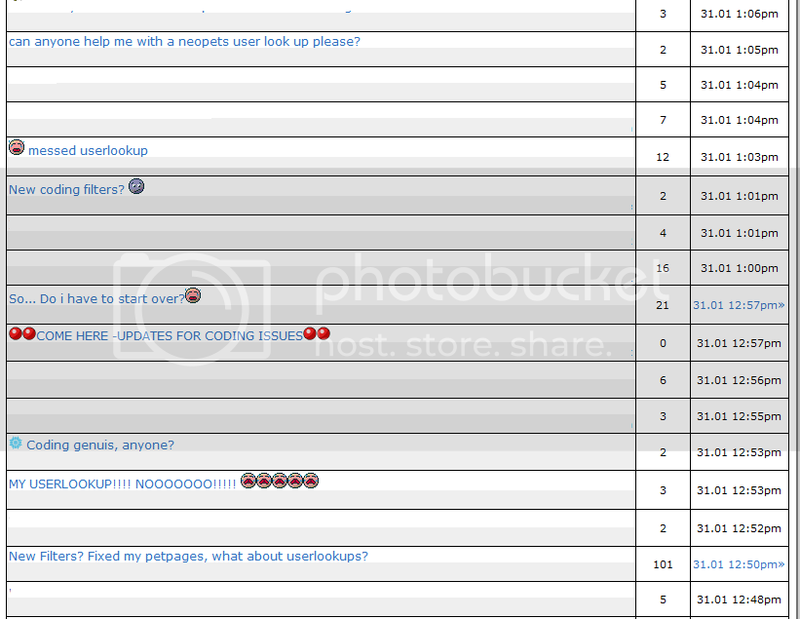 March 16 2011: +1 Button! 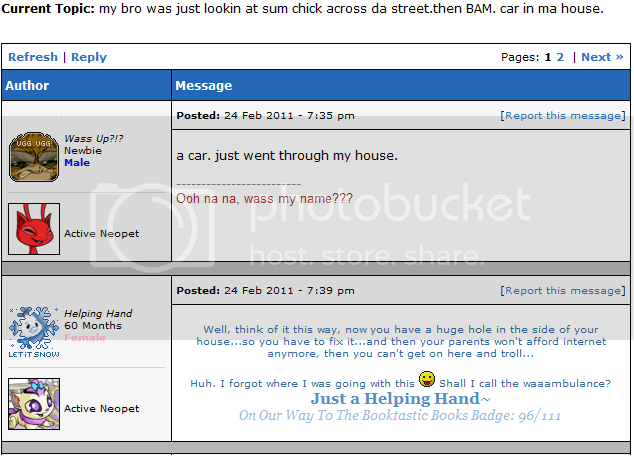 March 17 2011: +9 Screenies! 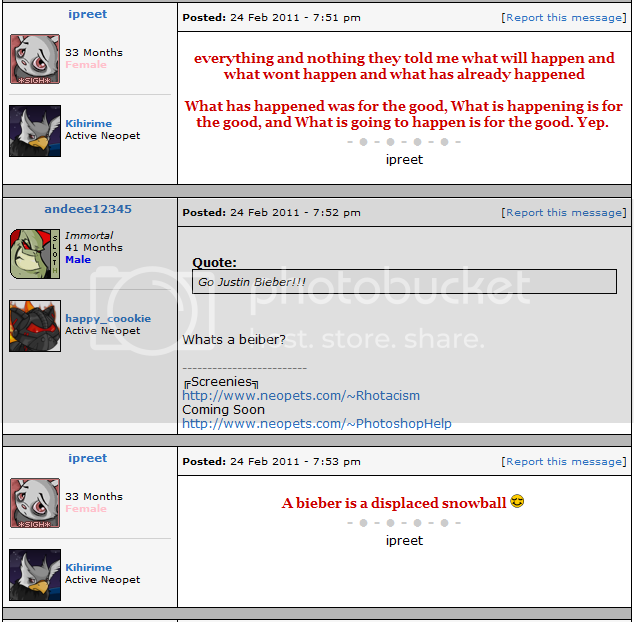 January 23 2012: +10 Screenies! 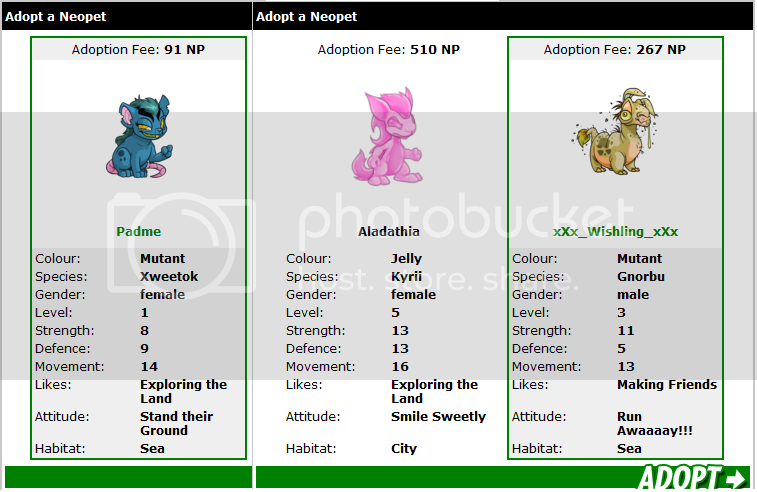 January 31 2012: +1 Affie, +14 Screenies!!!!! 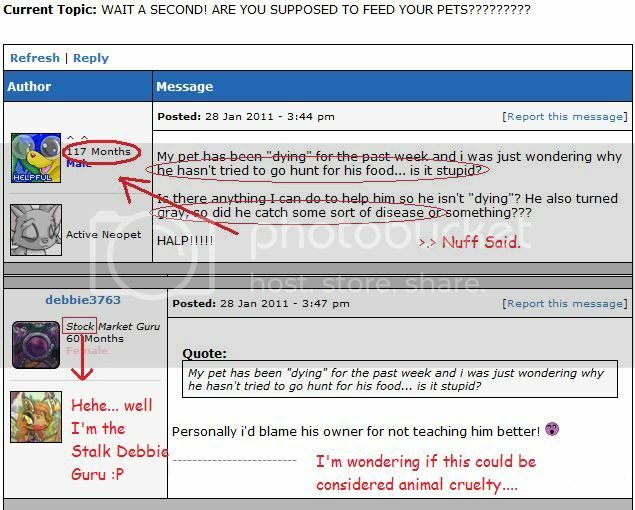 March 28 2012: Listed at Find a Laugh!! 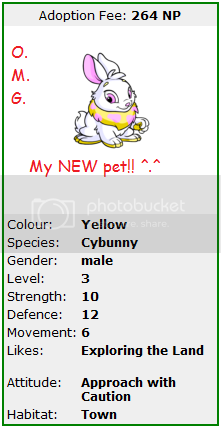 My first ever painted AND first LE pet! 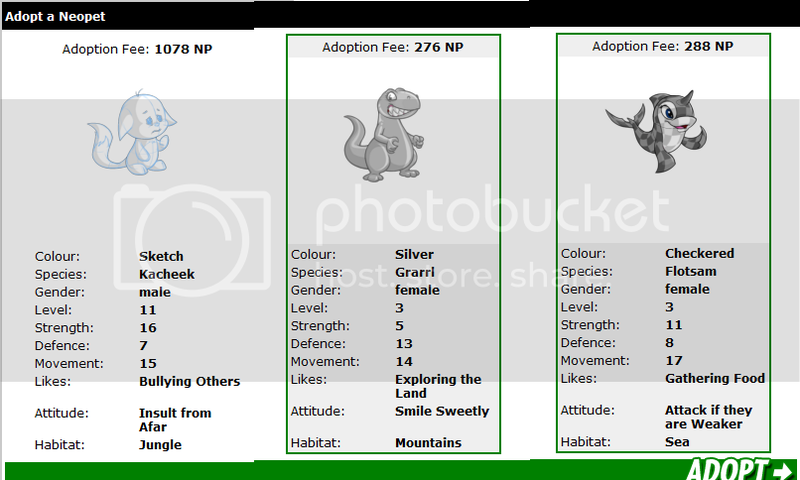 Great stats too, nice name... And I found the poor darling in the pound! 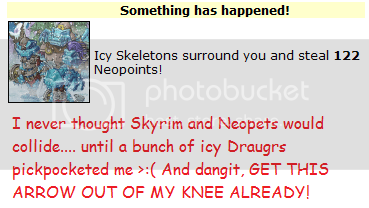 O...M...G!!! 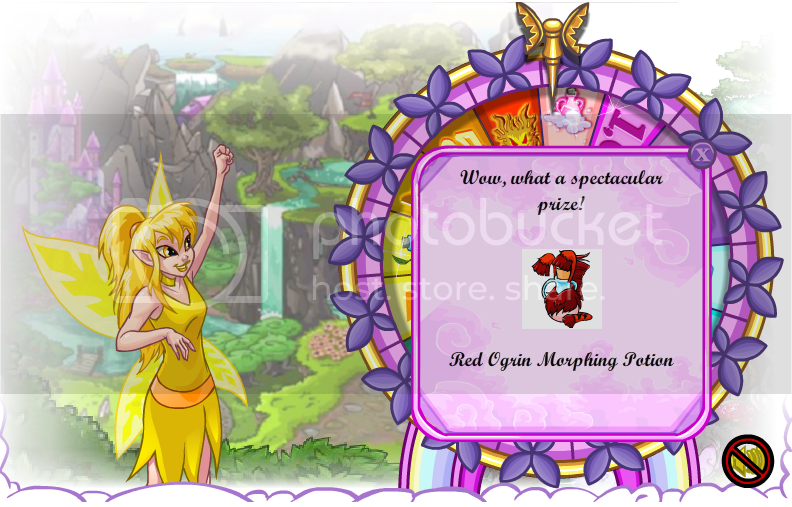 FIRST EVER MORPHING POTION! I don't care if its one of the "cheap" ones, 16k is a lot to me! 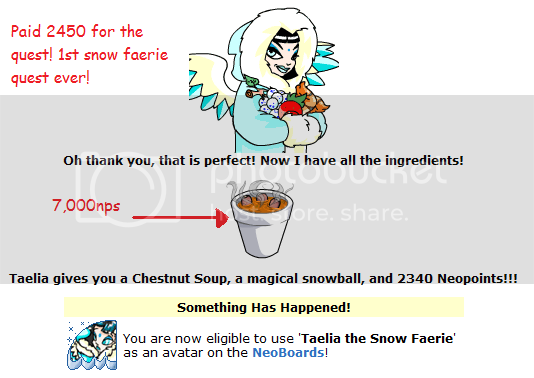 First quest done by the snow faerie! 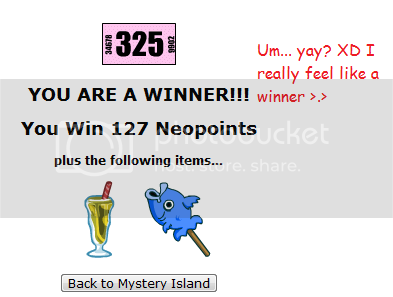 I haven't ever won before, and FINALLY! 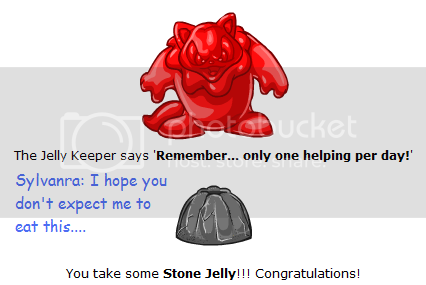 I am so confused about the logic behind Stone Jelly XD XD Isn't jelly supposed to wiggle? 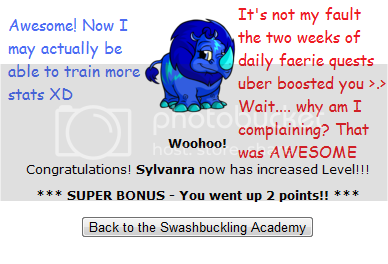 Easily one of my FAVORITE dailies. 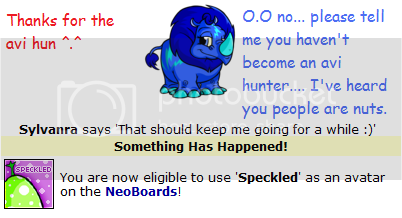 This was only a couple minutes after I created her. 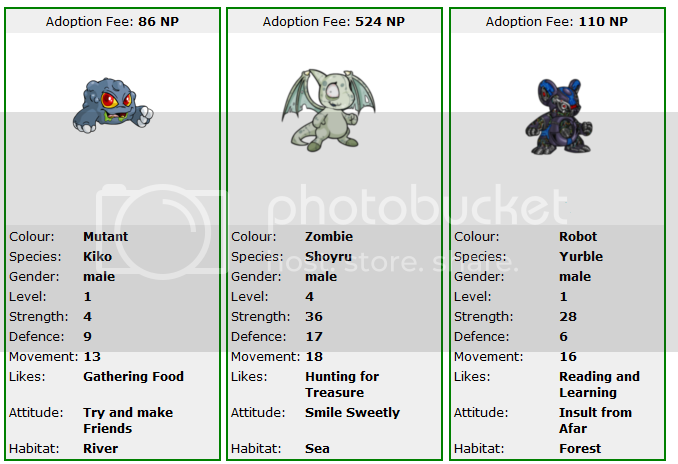 AND she seems to get hungry a lot faster than the others. Thank goddess for Omelette and Jelly! 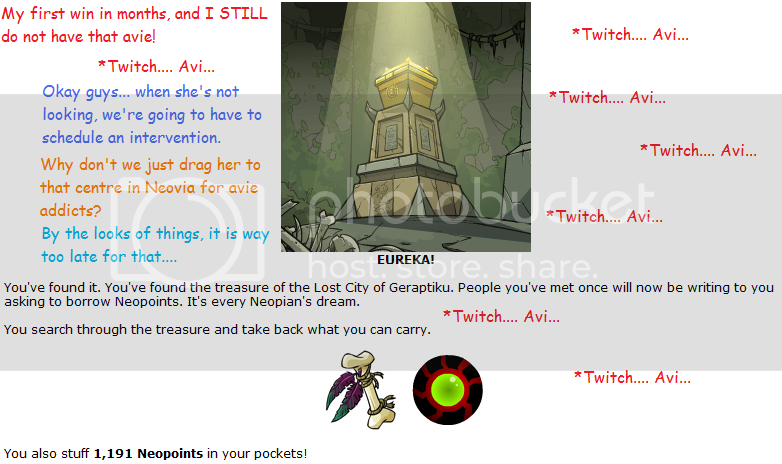 I blame that on you three for choosing garbage... except you Sylv, since you loved yours so much. Dohmi: ... is she always like this? 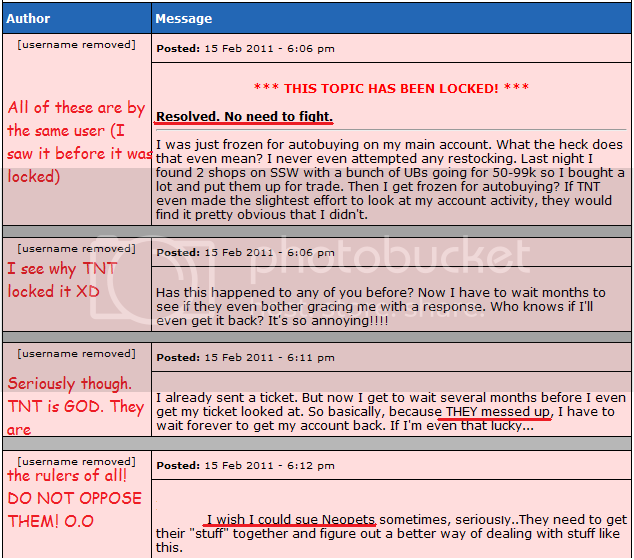 *twitch* Avies..... more avies..... *twitch* NOTE: I am aware that this is an Avie screenie. 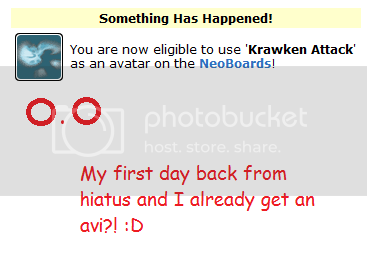 But since it was the beginning of my avie hunting, I put it here so nobody would get confused. Seriously though... where's my avi. 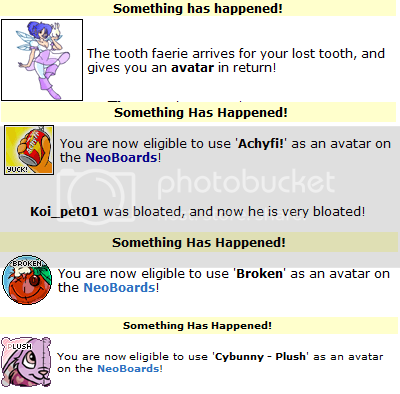 This and the next one happened on the SAME DAY! And I've NEVER gotten anything out of either until now. I know, I know. Masochistic. Why do the avi's run away from me? It's really not fair you know. 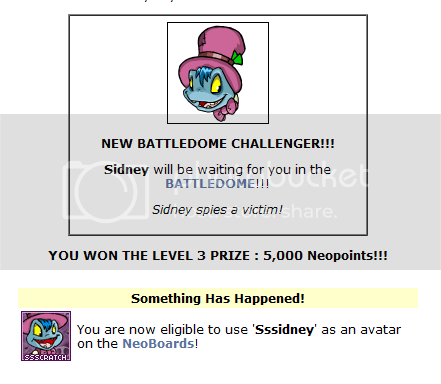 After a few months of trying, I don't have to do this daily anymore! 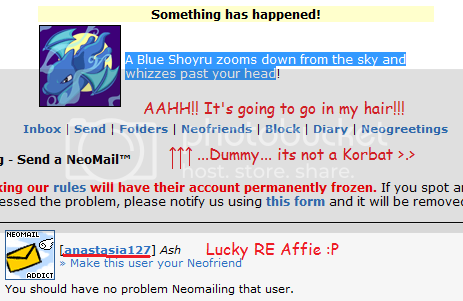 And I got an avi *twitch* NOTE: Because this happened during a daily, and I won the daily, it counts as an event. O.O OMG! 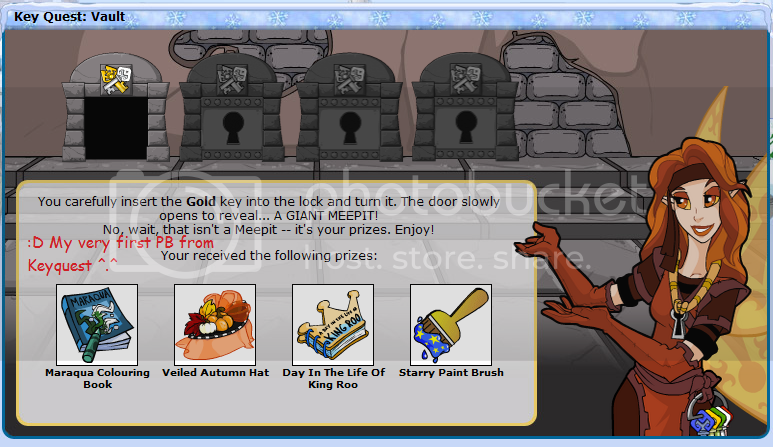 I went to the Trades board to get what pices I needed, and I only needed two more. 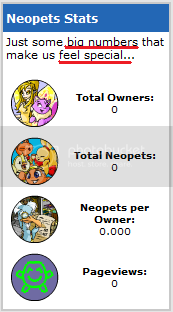 The person who sold me one of the pieces gave me these as a gift! Hey! WHO TOOK A BITE OUT OF TOASTY! 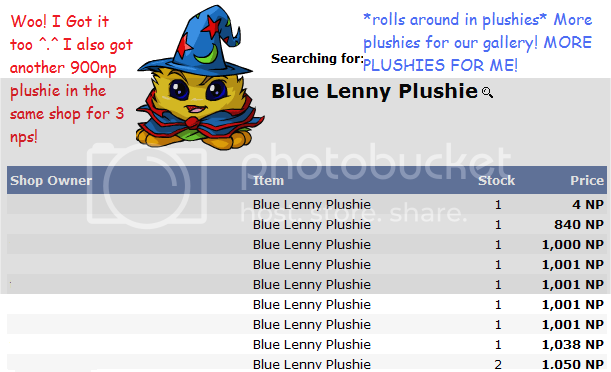 More Plushies! Plum is one of my friends! 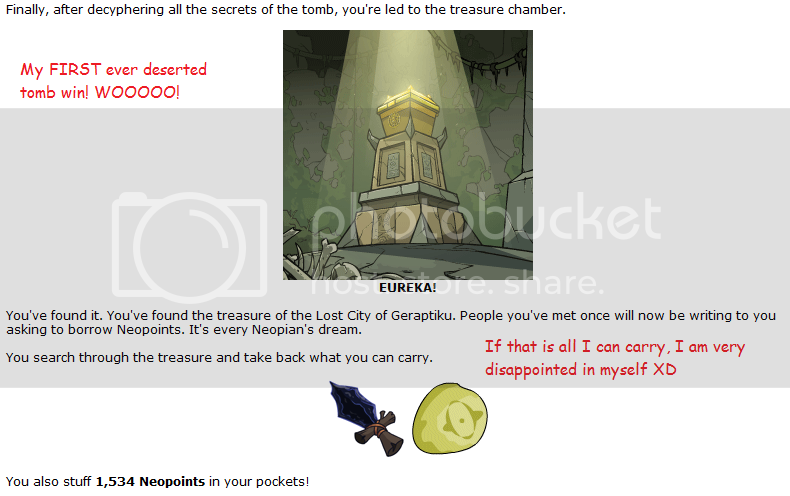 My first PB :D I now officially LOVE KQ! 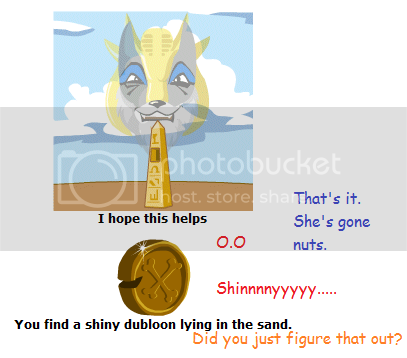 I don't have ADHD... Ohh look a dubloon! Yeah... after spending thousands on this game, I finally got something half decent. Gr. *snuggles her little baby* :D Thank you so much Britt! 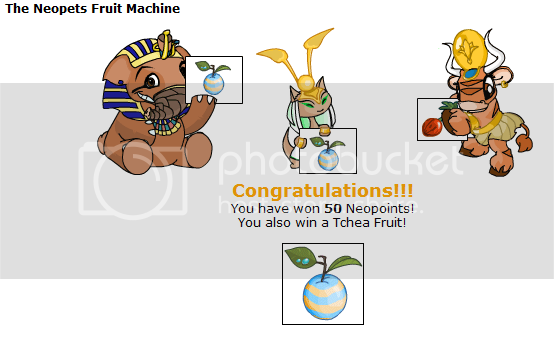 I've been getting a lot of luck with this lately! 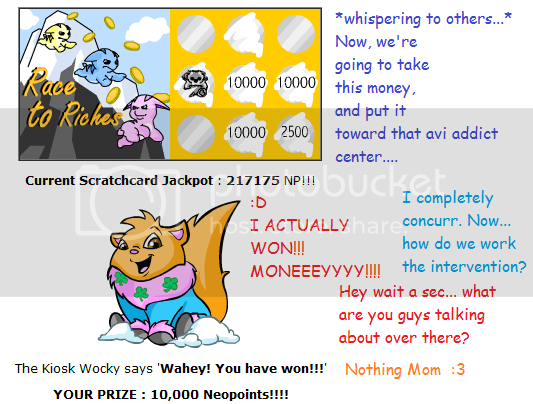 Apparently I'm winning this a lot too! 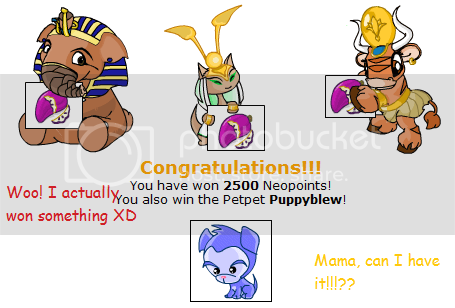 Not exactly a winning random event, but it still counts! I am mad at myself. 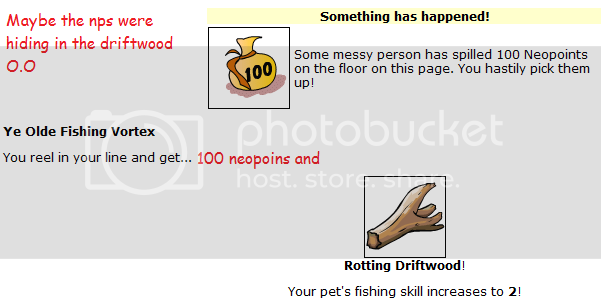 I got TWO np RE's within an hour before this one. 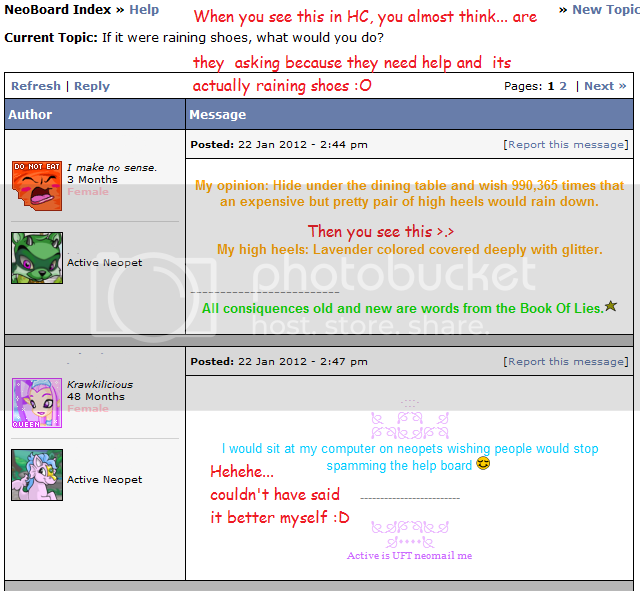 I just didn't screenie it because I was already busy screenieing a board. 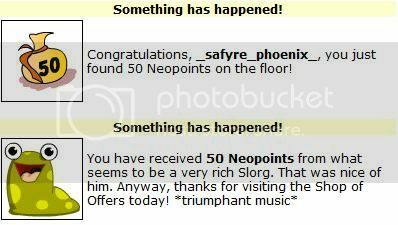 It was a 20np, 50np, then this one! 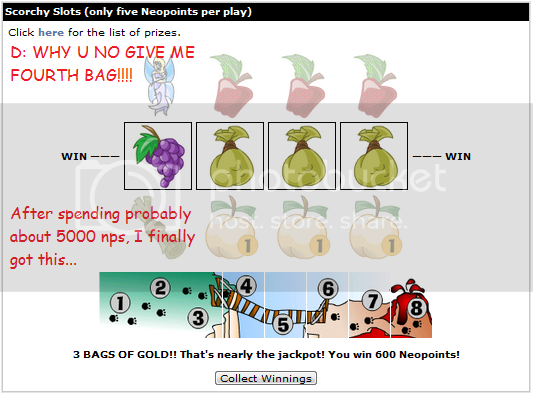 Is TNT trying to tease me!? 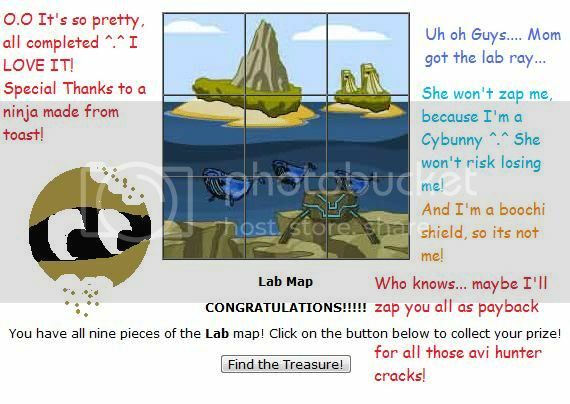 I'm trying to get the Secret Laboratory Map, and I get these? SERIOUSLY!?!? 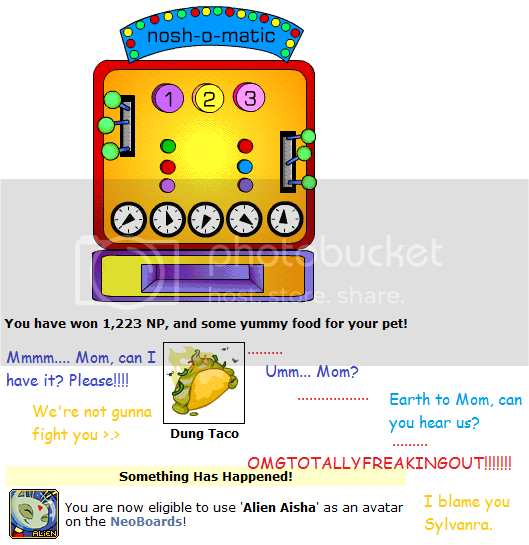 I AM GOING TO SPAZ!!11ELEVENONE! 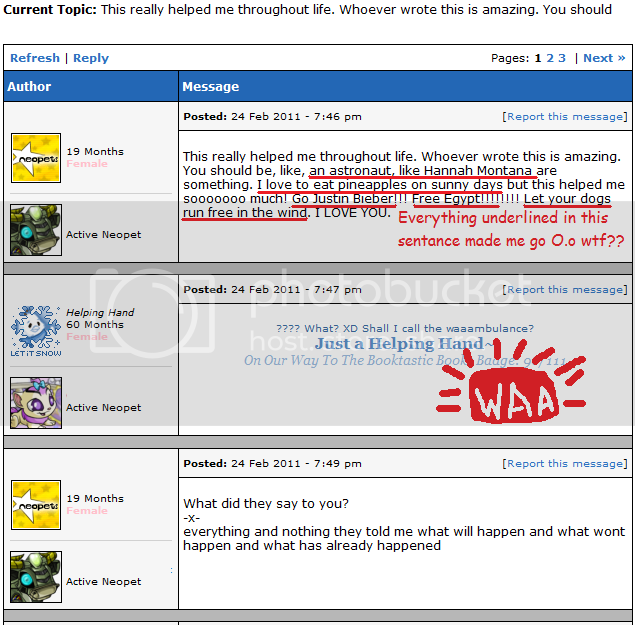 Sylv: Uh oh.... mom has lost her temper.... her typing is getting all n00bish. What can I say... totally addicted to that game. 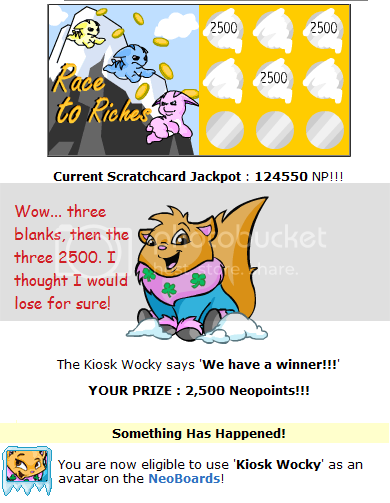 I've never had this one before! 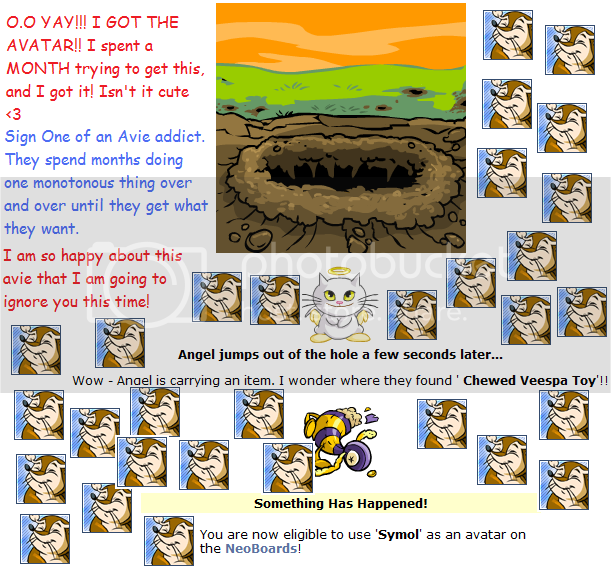 Avvie hunting, found the tooth fairy one JUST as I was starting the hunt! After an hour of play, my laptop died and I had to start over. 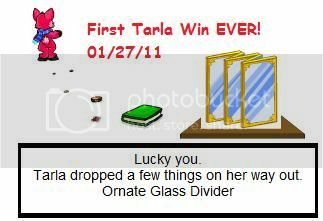 So about a day later, I finally got this and a third place trophy! 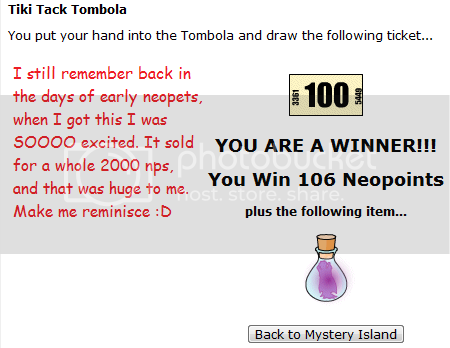 Got it on the first try ^.^ Good thing, I did NOT want to spend a ton of neopoints on this. 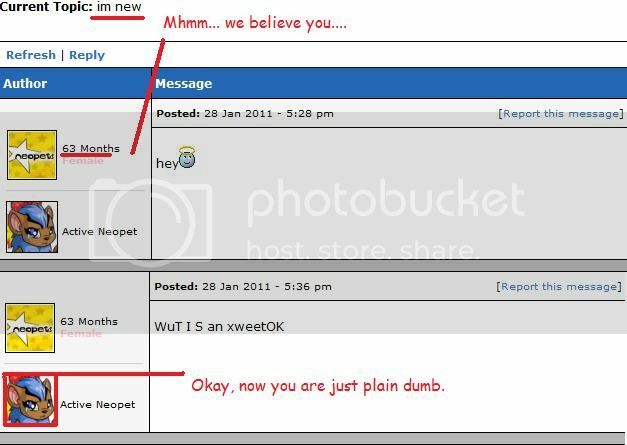 This guy was just one epic fail. But I laughed my socks off when I saw debbies post! 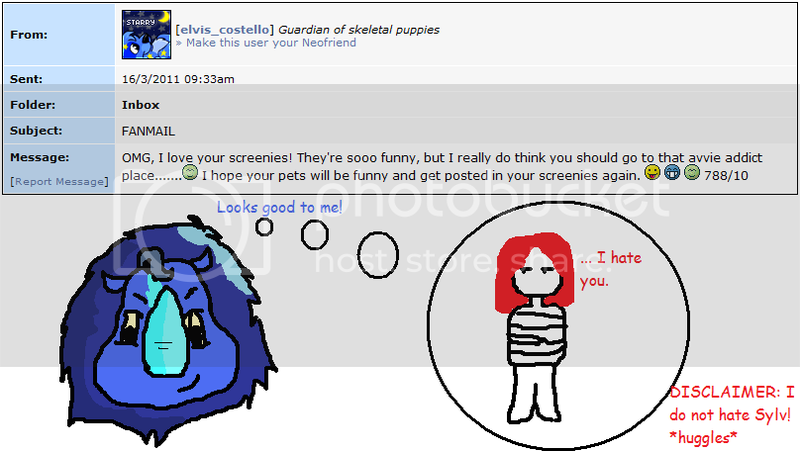 I know, I know.. it's a troll. 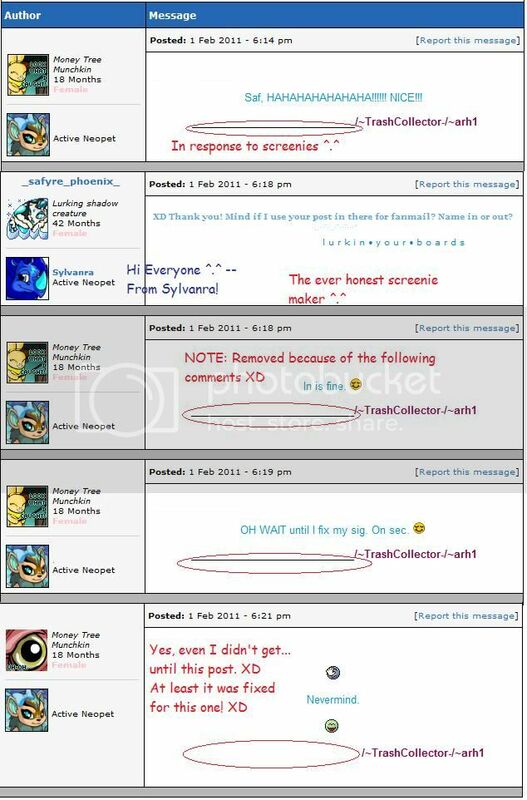 But the responses were just too funny! Okay this is just plain stupid. 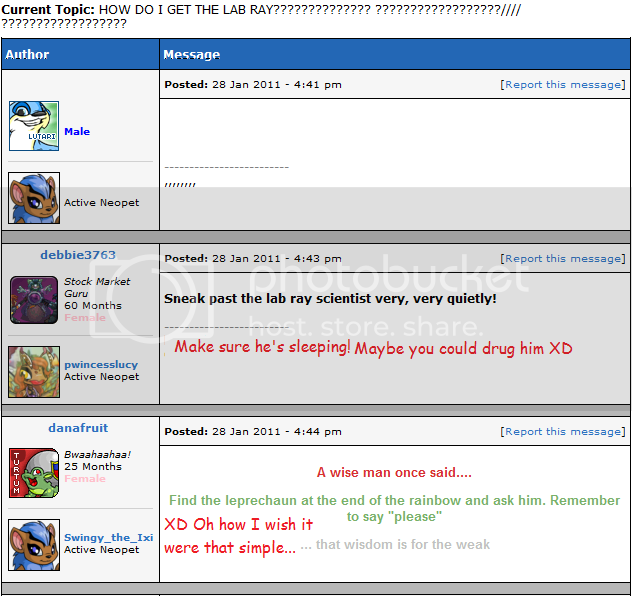 So I had to share it with you guys XD. 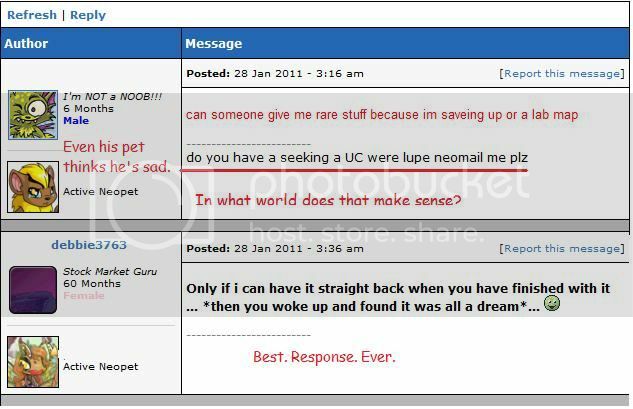 The day lurkers across neopia had to make a decision... to come out of hiding and write why they lurk, or to just lurk in silence. 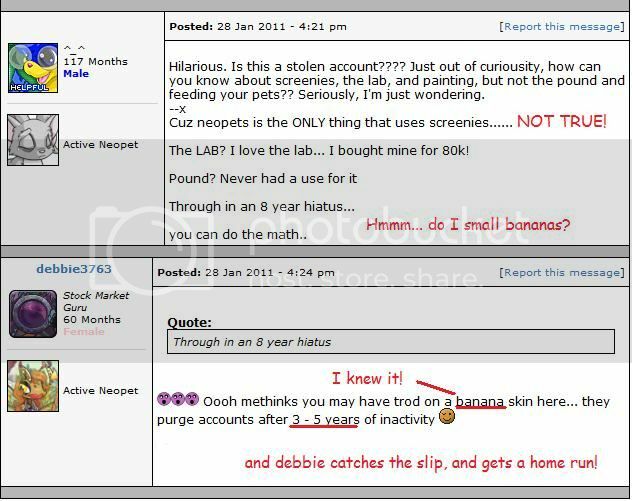 No one seems to realize that she is a spammer yet.... but a good deal of my screenies are her with a different active and siggy. Seriously, dude. Do not mess with the Creator(s)! 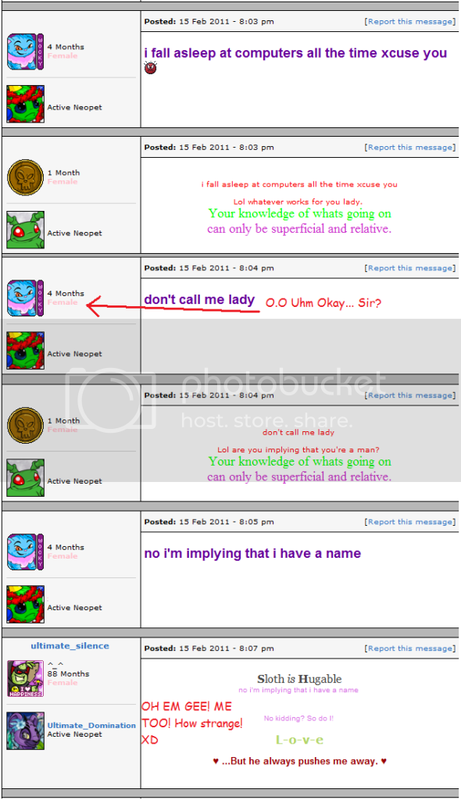 The new HC troll, whom I like to call the Hairy Armpit Troll. My first ever Drawing Screenie! I am not going to do this regularly yet, I was just practicing. Button made possible by Buttonier! Button made possible by Bouquet!